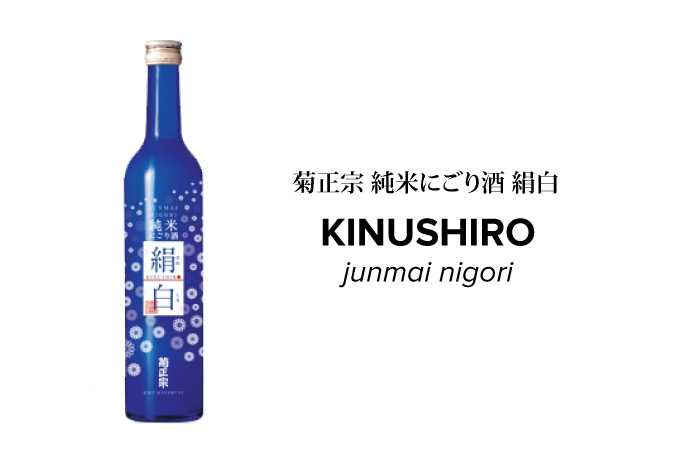 Smooth as silk, Kinushiro Junmai Nigori's attractive cobalt blue bottle with flowers fluttering in the background perfectly foreshadows the contents of this beverage. It has elegant flavor, velvety and creamy texture yet soft and airy on the palate. This delicate brew has gentle sweetness and refreshing finish that pairs well with variety of dishes.